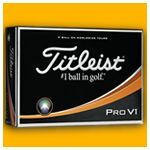 Printed with any Name or wording of your choice on Genuine Quality Brands or on our Quality Plain Unbranded Balls. 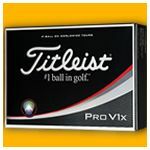 You can order as little as one box of personalised golf balls. PERSONALISED WITH ANY NAME OR WORDING . . . . . . . . . . .
A two piece golf ball with a 432 dimple design with no branding on at all. It is completely plain other than for the text you specify. If you want to include a picture, photo or logo click here. We have stock pictures available or you can supply your own. High Visibility Colours, 75 Compresdsion, Soft Surlyn Coating, High Energy Low Compression Core, Unique Dimple Pattern for Controlled Spin & Maximum Distance. PERSONALISED WITH ANY NAME OR WORDING . . . . . . . . .
Resilient, cutproof cover. High powered titanium core for maximum distance. Optimum spin for maximum cover. . . . . POWER LONG . . .
High launch and low spin for greater distance.
. . . SOFT FEEL. . .
A soft 2 piece Ball with a 333 - dimple pattern. Excellent spin & control on approach shots. All Ability, Distance and Control. 3rd Generation Spinskin technology - advanced 338 dimple pattern which reduces drag producing more distance - energetic gradient growth core providing high performance with every club.